This EA only sends text messages to a Telegram group or channel of your choice. 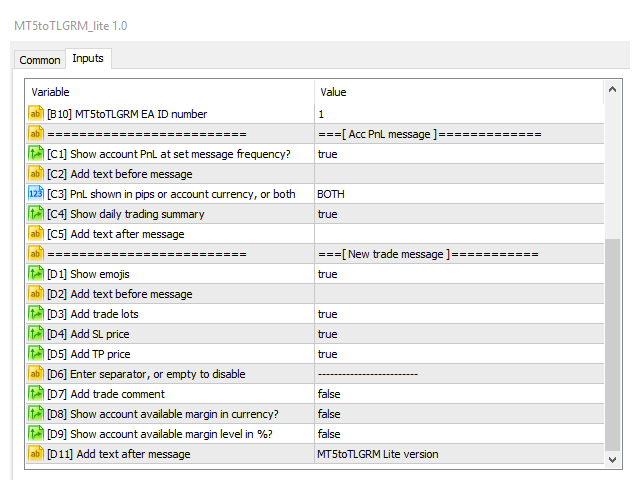 The messages are customizable to show information about any trading activity in the account. 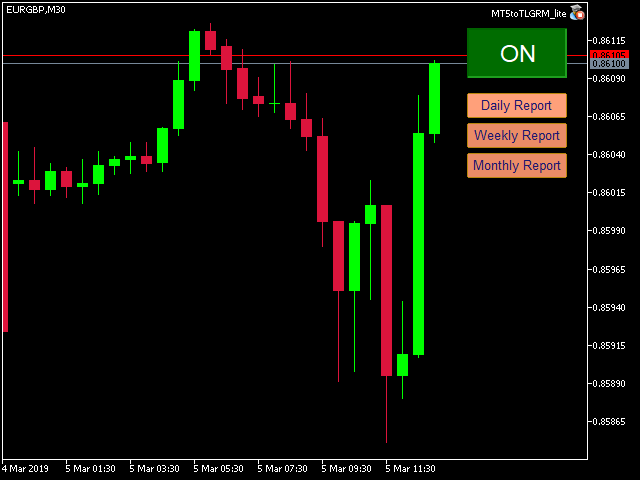 Also it shows a daily PnL report. 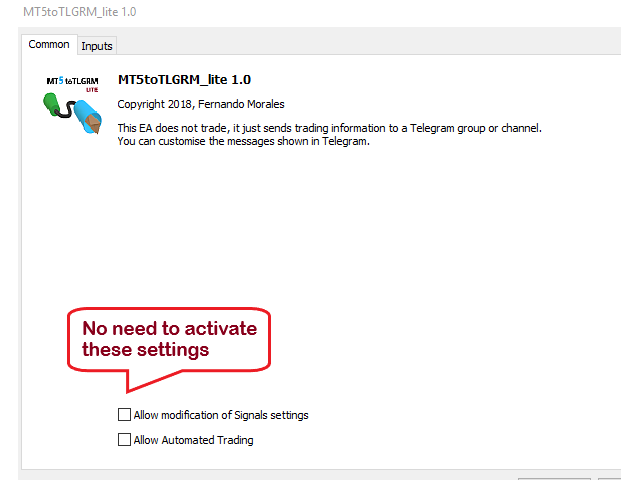 Several instances of this EA can be used simultaneously in the same MT5 terminal for sending messages to different Telegram group/channel but ensure that each one has a different number in [B10] setting. 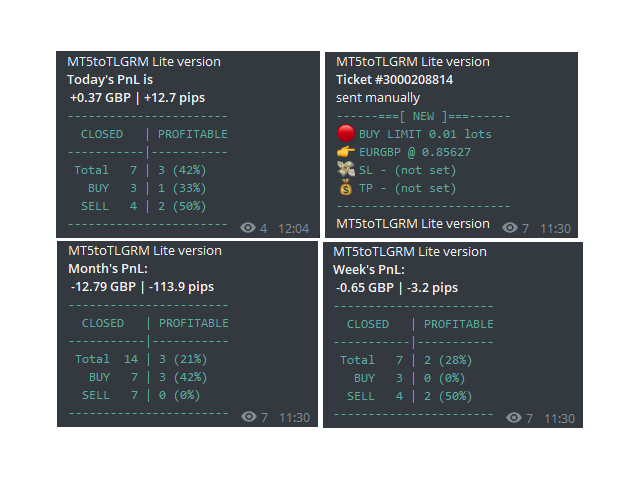 The MT5toTLGRM_Lite version only shows information about new trades and orders opened, it does not show messages for closed or modified trades/orders and it runs with a delay of 600 seconds between messages. 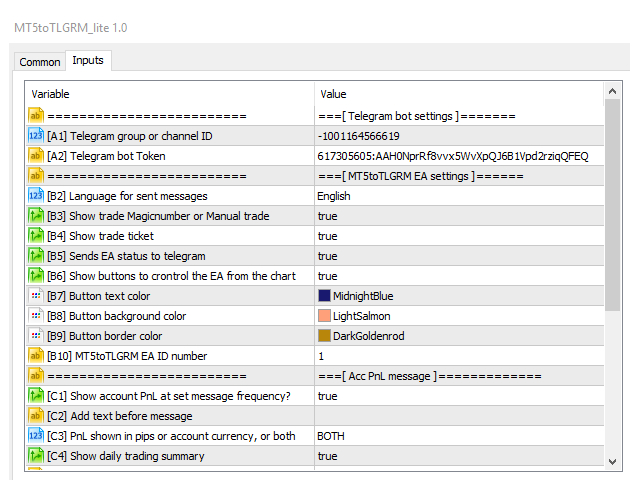 Enter the token and chat ID into the Telegram settings. Then run the EA from a MT5 chart. Recommended running this EA from a VPS to ensure non-stop execution. 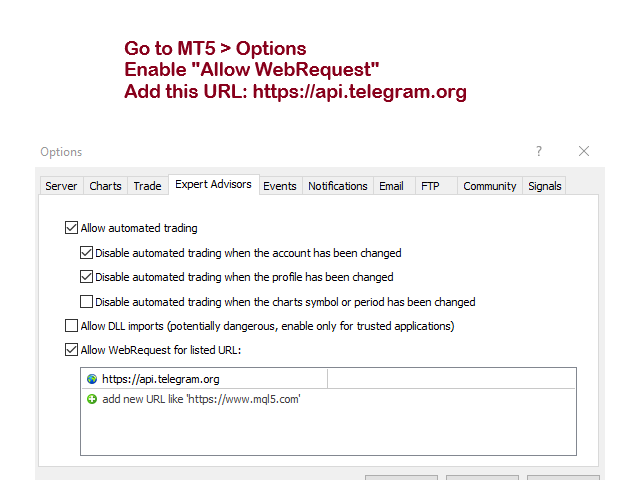 MT5toTLGRM_Lite comes pre-configured for sending messages to my test channel https://t.me/mt42tlgram for your testing convenience.